What does $10K worth of headphone amplification sound like? We’ll be honest: we never expected to review a product from Goldmund on this site. They’re not just a high-end audio brand; they’re floating somewhere above the very concept of high end. They make speakers that have been exhibited in New York’s Museum of Modern Art, and which cost half a million dollars. And yet, through a joke that got completely out of hand, we’ve managed to land ourselves with a Goldmund Telos 2 headphone amplifier. In this review, we break down the Telos 2’s design, sound, packaging and accessories, specifications and more, as well as how it compares to other models. You can also check out our video review. Before we continue, maybe we should explain just how in the blue hell the Goldmund Telos 2 came into our possession. Never have we said yes more quickly. For while the $10,400 Telos 2 is by some margin the single most expensive piece of equipment we’ve ever featured on this site, you don’t say no to the sort of thing. However, there’s no getting away from the fact that the Telos 2 is a touch…underwhelming. It doesn’t make a very good first impression. It’s a big, beige box. Really, that’s about all there is to it. The most exciting part of the design is a gold plate on the front displaying the brand’s logo, and the rest is just beige. It’s a rough rectangle of 13.8” x 11.8”, and weighs around 26.5lbs. It has a bunch of inputs, a bunch of outputs, a couple of very tiny switches, and a big chunky volume knob. And that’s your lot. It is as exciting and eye-catching as a banker on the 7.23 to London. There’s no remote, and you don’t even get anything cool like a motorized volume knob, a la the Benchmark DAC3 HGC (full review here). You don’t even get a USB port over 2.0. Round the back, you got a set of inputs - Analog, Optical, USB (the amp has a built in digital-to-analog converter) – and round the front, you’ve got a fairly standard set of controls. There are two 6.3mm headphone jacks, which is a feature we really enjoyed; a chunky volume knob, and two switches. One of these controls the input, and the other activates the Binaural mode, which we will go into in more detail below. It’s a very simple amplifier. Perhaps too simple. While it doesn’t take anything off the table, and all the elements work well, it just doesn’t raise the pulse. We were really, really excited to crack this one open, and we can’t deny that we felt a touch disappointed when we first laid eyes on it. Then we felt bad and ungrateful for feeling disappointed. Then we felt annoyed that we felt bad and ungrateful, because ultimately, if you’re going to pay five figures, a dull-looking amplifier in a cardboard box doesn’t really set the pulse racing. Still, there’s no denying that the design works, in the sense that everything functions as advertised. One thing worth noting: on the model we were sent, there was an issue with the volume knob, which audibly scratched against the housing when turned. We mentioned this to the company’s Anne-Karine Agius, who said that this definitely wasn’t the case on their retail models: “The knob is one of the few contact points between the user and the unit. This really matters to Goldmund and we take special care in the material and the details on it. Using it should make our customer feel good.” While we haven’t come across a second Telos 2 to compare it with, we are satisfied with this explanation. We can’t imagine a defect this dramatic not being noticed by a quality control department. All of this would be forgiven if the Telos 2 sounded out of this world. And for a five figure pricetag, it had better. Which is why we’re sad to report that we were left a little bit underwhelmed. It’s not that the sound was bad. It was very, very, very good. It felt suitably high-end. It had an incredibly revealing sound signature, which really strove to present the music in the most accurate light possible. We wouldn’t go so far as to call it reference grade, in the sense that it definitely colors the sound coming out of your headphones, but it’s in that league. The audio we listen to had a level of sheen and crispness that made it very clear that we were dealing with high-end components. We also must say that we fell in love with the Binaural mode. Flick the switch, and the left and right signals in your headphones are blended slightly, to increase the stereo depth. The mode presents an instantly noticeable change the sound, and one which we really liked. It’s not a new idea – we’ve seen it in amps like the Hafler HA75 (full review here), which allowed you to actually blend the amount of signal being mixed into each channel – but this is a far better experience, and it really gave recordings an extra lift. Goldmund put a lot of stock in their ability to reduce the amount of movement in the headphone drivers themselves, which is known to increase clarity and dynamism. They do this using some advanced acoustical grounding technology in the amp itself, as well as making sure that the DAC (digital-to-analog converter) is situated as close to the amplifier as possible, to keep the signal digital for as long as possible. In other words, there’s very clearly some high-level R&D going on here…so why did it leave us cold? After all, the audio quality sounded fine. It was deep, clear, balanced, and surprisingly weighty. But it didn’t sound dramatically better than something like the much more fully-featured Sony TA-ZH1ES (full review here). Even something closer to its price point, the Wells Audio Headtrip, had infinitely more life and verve to it. That amplifier felt brilliant, whereas this one just felt like a very good amp. There’s nothing wrong with that, of course. But if it costs $10,400 – which for headphone amplifiers, is an absolutely huge amount of money – it had better deliver something extraordinary, and it just…didn’t. At one point, we thought perhaps we were shortchanging the amplifier. After all, when you get into high-end gear, things like clean power supplies make a real difference – and at this level, you really do need to be operating with the best possible headphones and/or speakers. While we have very good headphones in the office, we didn’t feel like we were driving the amp to its full potential. The most expensive headphones we had at that particular point in time were the Focal Clear (full review here) – a very good pair of headphones, but nothing on things like the much better Utopia. So, keeping a wary eye out for muggers, we took the amp down to Vancouver’s Headphone Bar, an absolute treasure trove of great audio gear. Travis, who runs the place, was good enough to not only let us connect the Telos 2 up to a very high-spec power supply, but allow us to test it with the absolute cream of the current headphone crop: Focal Utopia, AUDEZE LCD-4, HiFiMAN HE1000 V2…the works. The conclusion we came away with was, sadly, largely unchanged. Good, but not great. Enjoyable, but not mind blowing. Again, we need to stress that this is a very decent headphone amplifier; it just isn’t exceptional. For this price, we expected it to absolutely wipe the floor with just about every other amp on the planet. But if we had a choice between this and the Wells Audio Headtrip, we'd take the latter. Yes, the Telos 2 is technically ‘better’. Yes, the tech is more advanced. But the user experience and the ability to keep you captivated just isn’t there. Excuse us while we snort into our sleeve. You don’t even get a power cable. Admittedly, the lack of accessories is not necessarily a problem, because at this price point, you’re probably already equipped with high-end power supplies and handmade, ultra-light USB cables anyway, so it arguably would have tacked a few more digits onto the price point for Goldmund to include them. All the same, we need to say again how disappointing it was to receive this amp in a very basic, very boring cardboard box with polystyrene inserts. This is the kind of product that cries out for a little bit of premium presentation, and it just wasn’t there. That’s a real shame, and a real missed opportunity. We’ll use the example of the Sony TA-ZH1ES again; that amplifier costs five times less than this one, and while it came in a cardboard box, there had been a certain level of thought put into it, with the amplifier nestled in a hammock of black fabric. This felt very half-arsed. It pains us to have to write these things about the Telos 2. We badly wanted to love it. We wanted it to blow our bloody socks off. We did everything possible to put it in the best light we could, furnishing it with the most expensive headphones on the planet, juicing it with as much clean power as it could handle. We are confident that we could not have given it a better situation with which to prove itself, and we were really disappointed at how cold it left us. If the amplifier cost half or even two thirds as much, then it would be one of the most essential amplifiers around. The Binaural mode alone is an absolute joy, one of the few unquestioned bright spots of the experience. But as it is, this would never be our first choice of amplifier. It feels like something that costs the amount it does because the brand demands it, not because it offers anything particularly brilliant. Anybody who reads the site for long enough to know that we place a lot of value on overall experience. The best-sounding amp in the world can fall flat if it doesn’t actually make us smile. From the moment we open the packaging, we are evaluating a piece of gear. The ones that stick with us are the ones that make us feel smart for owning them, make us feel like we made a wise decision. They reward you constantly, going out of their way to make you understand not just what you’ve bought, but why it is special. And the Telos 2 isn’t there. It’s very good. Occasionally great. But it lacks a soul. The most boring design we’ve ever seen. Doesn’t justify its price tag. Far and away our preferred option. The Headtrip, in our opinion, offers a much better experience than the Telos 2. It feels like it was designed by human beings, rather than robots, and although it doesn’t offer a significant boost in reference-grade sound quality or features, the impressions are much better. And we love the design. The black color scheme, funky volume knob and prominent vents give it a real edge, turning it into an eye-catching piece of equipment. And it sounds magnificent. If the Telos 2 is the banker on the 7.23 to London, the Classic Remix is the drag queen who still hasn’t gone home from the party the night before, sashaying down the carriage with a bottle of champagne and challenging her fellow passengers to a karaoke contest. Subtle this ain’t. Just look at those heatsinks! And while this is a tube amp, and very much not in the same league as the Telos 2 in terms of technology and mission, it definitely provides a viable alternative if you’re looking for something that not only costs less, but will give you an experience you’ll never forget. 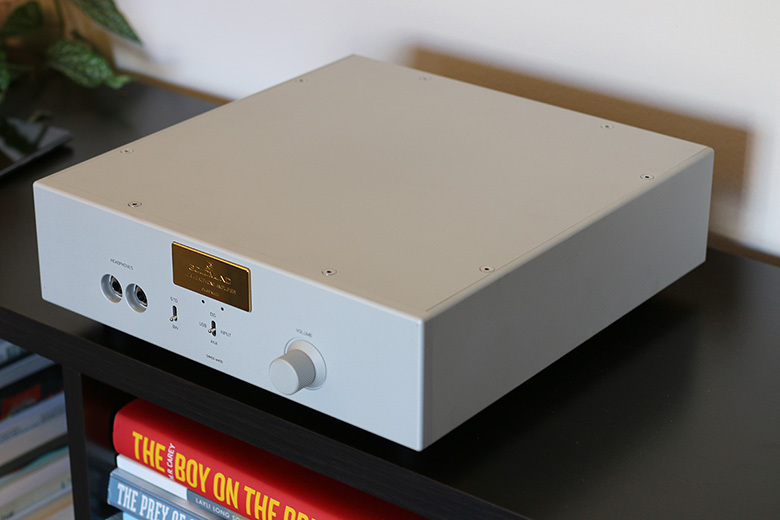 For a while, we thought that the Telos 2 was the most expensive headphone amplifier in the world. Turns out, it’s not. That honour goes to the MSB Select, which isn’t even technically a headphone amplifier. It’s a DAC that provides a constant high output power from its conversion modules. It also costs around $90,000. Admittedly, it’s probably a little unfair to compare the Telos 2 to it, as they really are in different leagues, pricewise. But once you get north of about $6,000, it’s very rare to find headphone amps. This one (so we’ve been told) sounds spectacular. You wouldn't expect headphones to need any special equipment to work. They are just about as simple as audio equipment gets. You plug them in, turn your device on, and music comes through. But what if you don’t just want to listen to your music? Sometimes, you need to take a step back, look at how you’re listening to music, and improve it. Sometimes, you just need to break the bank, go deep, and invest in something that will last you that years and deliver the best sound you’ve ever heard. At The Master Switch, we spend an awful lot of time thinking about audio. More importantly, we spend an awful lot of time thinking about how to improve it. Everything we do is geared towards creating bigger, better sound. Everything you need to know about headphone specs. if it doesn’t involve any of the following, you probably don’t need to worry about it. Consider this the ultimate explainer. FLAC, WAV, AIFF, DSD… There’s no denying that picking the right type of audio to listen to can be crazy confusing. Fortunately, we're here to help, with our full guide to this audio topic. The Focal Utopia are the best headphones on the planet. That’s not hyperbole. It’s not shilling. It’s just the truth. Of all the hundreds of headphone models available today, these are the best. End of discussion. © 2019 The Master Switch. All Rights Reserved.